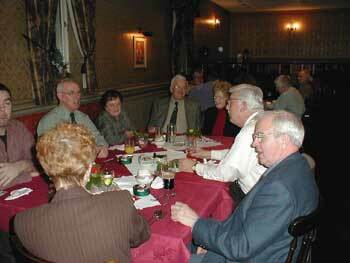 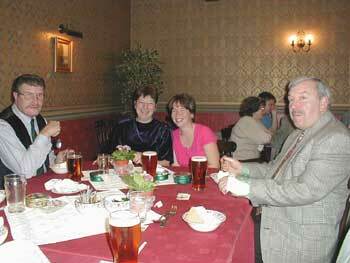 Below are images from the 2001 North West Dahlia Society dinner at the Heaves Hotel. 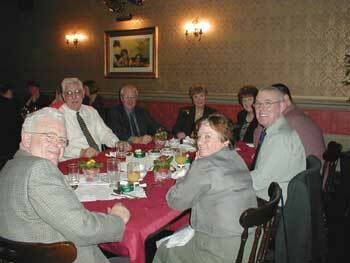 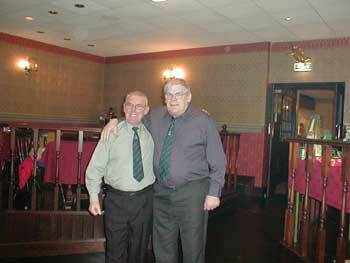 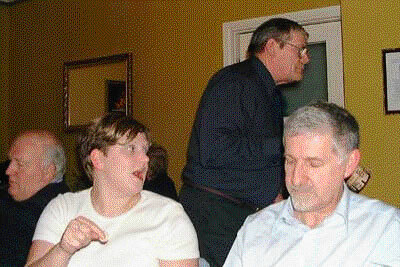 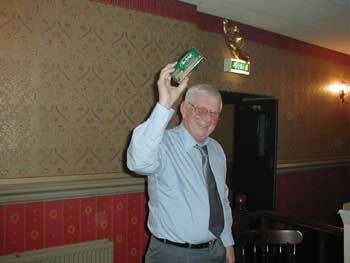 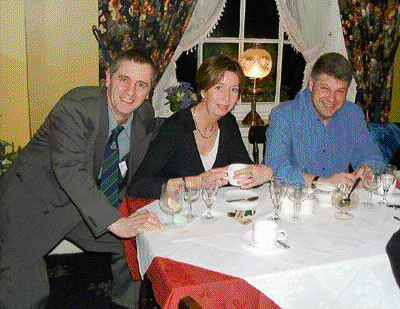 The 2002 presentation evening was held on January 12 at 8pm, with guests from around the North West and from the USA. 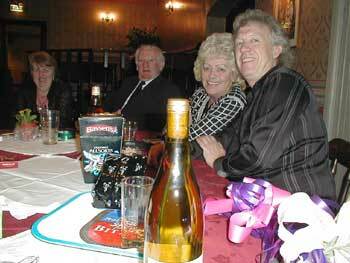 Below are pictures from a great night. 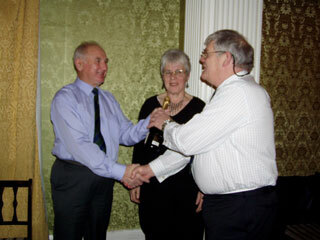 A raffle was staged with a lot of prizes donated by the guests, Wendy Kenyon won the Whisky Roll, while Jack Gott received the silver medal for his work with the dahlia and his wife Josephine received a bouquet of flowers. 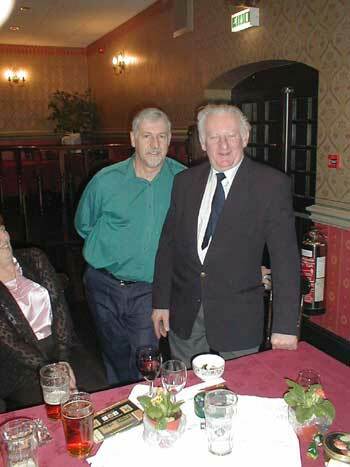 Jack with brother Bill. 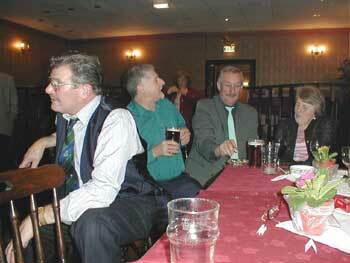 "We have Gott some down us tonight lad."